Another fun and successful Pancake Breakfast this morning in the Rose Garden. Thank You to all the folks who came to our event to help support Seminarians John Garabedian and Tom Palanza, Jr. ​Here are a few photos from today's breakfast. Congratulations to Ava Aquino ! 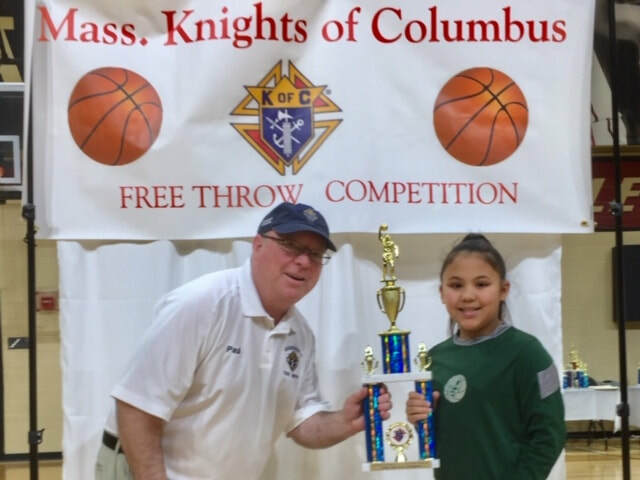 Congratulations to Ava Aquino who became the Massachusetts State Champion for 9 year old girls at the Massachusetts State KofC Basketball Free Throw Contest held this morning at the Conte Forum at Boston College. Way to go Ava !!! Below are a couple of photos from this morning's contest. 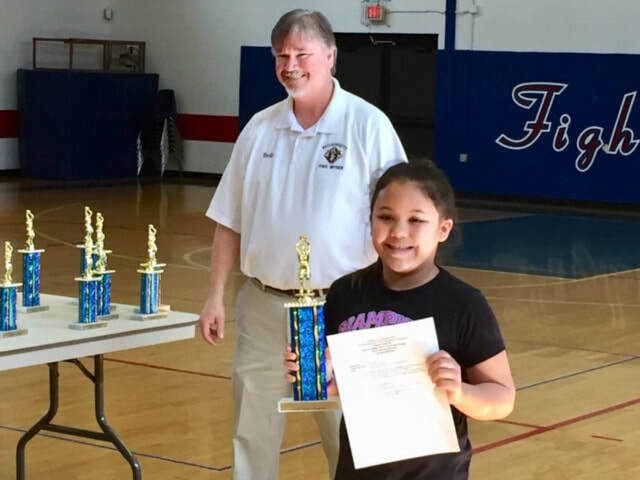 One showing Ava accepting her first place trophy from the Massachusetts KofC State Deputy Paul Flanagan. 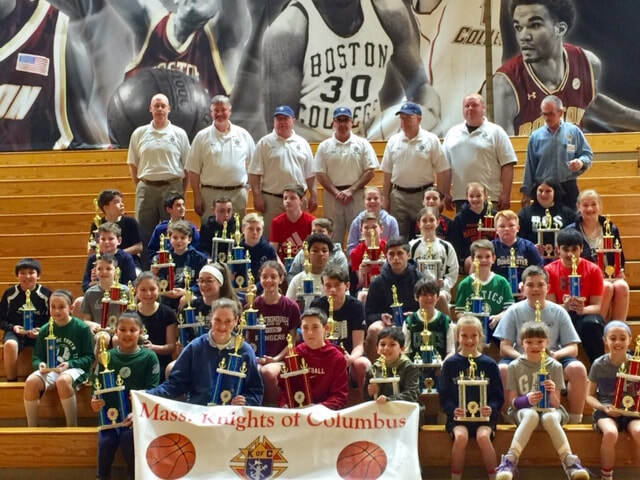 The other photo is of all the participants sitting in front of the Massachusetts State Knights of Columbus Officers. 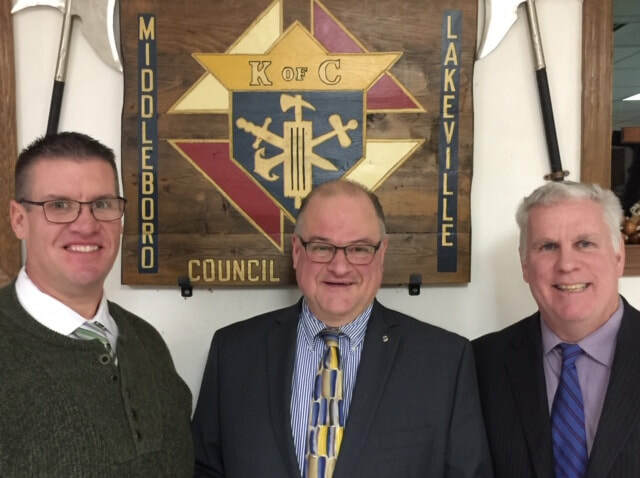 Here are our newest KofC members who recently took their Admissions & Formation Degrees at Middleboro-Lakeville Council 223. They are from L to R: Chris Lindstrom, Rick Cooper and Jack Cooney. Please introduce yourself and welcome them to our council the next time you see them. 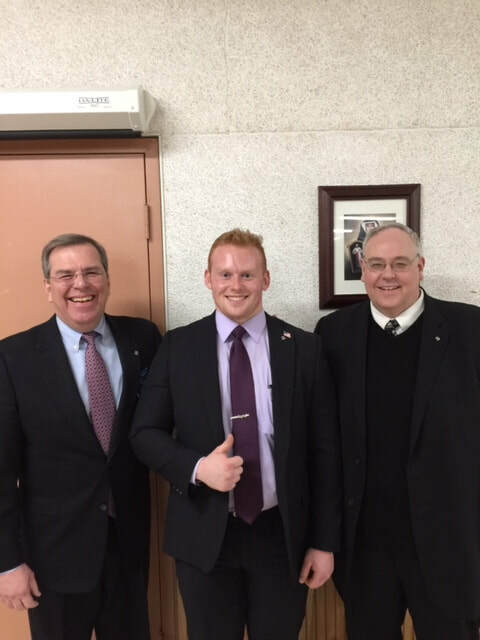 The New George C. Shields Council 420 Newsletter has arrived ! 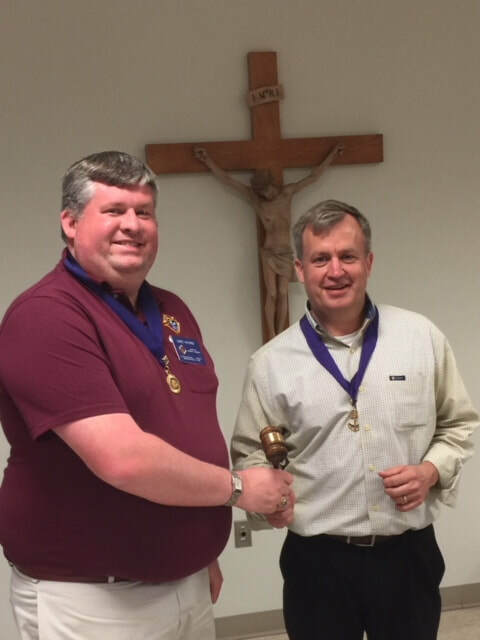 Just click on the document below to read the new George C. Shields Council 420 newsletter. The George C. Shields Council 420 kicked off its 4th Annual Thanksgiving Pie Sale this past weekend. Feel free to print the form below and drop it off with your payment at any Mass this coming weekend (11/10 & 11/11). 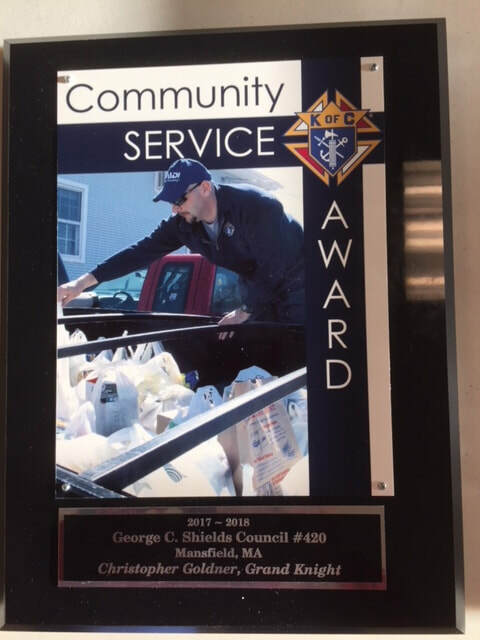 The George C. Shields Council # 420 won the 2018 State KofC Community Service Award at the Massachusetts State Convention in Hyannis on May 20th.